Bailey would like to congratulate British team pilot, Michel Carnet on his outstanding result at the 2009 World Paramotor Championships, winning the Gold Medal in the PF1 footlaunch category using the new Bailey Aviation 4V paramotor. 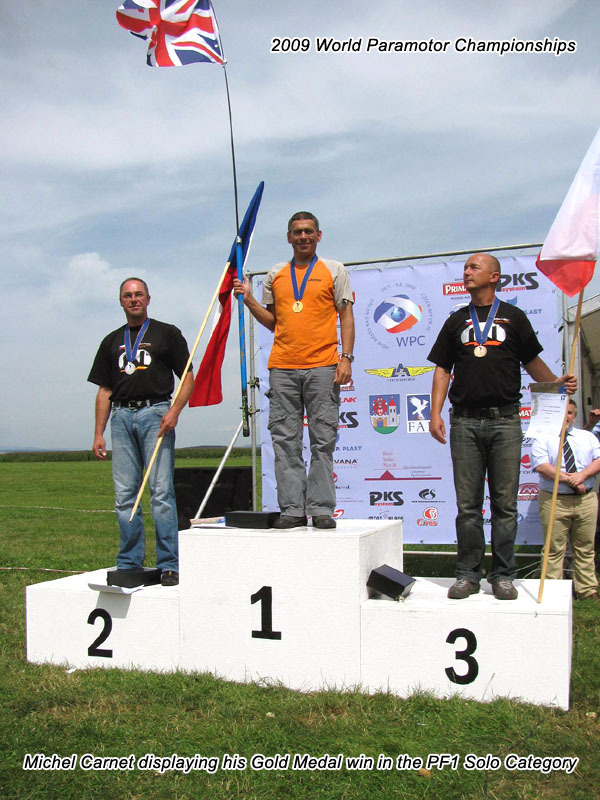 This is Michels 3rd podium position in the World Championships, held every 2 years, all achieved using Bailey Aviation paramotors. After 10 days of gruelling tasks, the British Team had put in a fantastic performance, running neck and neck with the Czech national team and narrowly missed gold position by only 94 points, finishing with a silver medal. Congratulations to Michel and the rest of the British team for such a world class performance !